Picking up where Moto Maker left off? 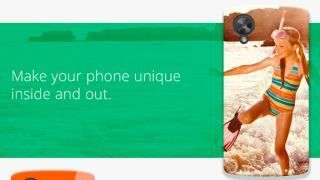 Google may be planning to launch a customisation tool for Nexus 5 devices, which would allow users to create personalised cases and live wallpapers. AndroidPolice has obtained evidence of a Google Workshop tool, an interface within the Google Play store that can be used to make "your device unique inside and out," according to the blurb. The unreleased and unannounced tool features two main components "MapMe" and "Moments." The former allows users to create custom cases based on a certain location, while the accompanying live wallpaper will show weather information and tweets from the same place. Moment will enable Nexus 5 owners to upload their own photos, manipulate the image, add filters and tex, which can be built into a wallpaper or a case. Google, of course, has experimented with device customisation before with the Moto Maker, during its brief time in charge of Motorola. It's unclear how close Google is to launching the Google Workshop tool, or whether it is just experimenting with the possibilities right now.